In March of 2019, Nebraska and Iowa experienced unprecedented flooding. NOAH’s teams, including Vikki and Gemma, Lisa and Atticus, Renea and Wrigley, as well as new teammates, Melissa and Mya, were called out and continue to work with flood survivors as they work to recover #NebraskaStrong. Two of our crisis team members, Lisa and Sadie and Renea and Crosby responded to select school and area related crisis situations. Holly and Nestle aided in student care after the loss of a Mid Plains Community College student in a kayaking accident in July 2016. The spring and early summer of 2014 saw several exceptionally destructive weather events in Nebraska area. The Crisis Response teams were able to reach out to two communities seriously damaged by tornadoes: Beaver Crossing, NE and Pilger, NE. 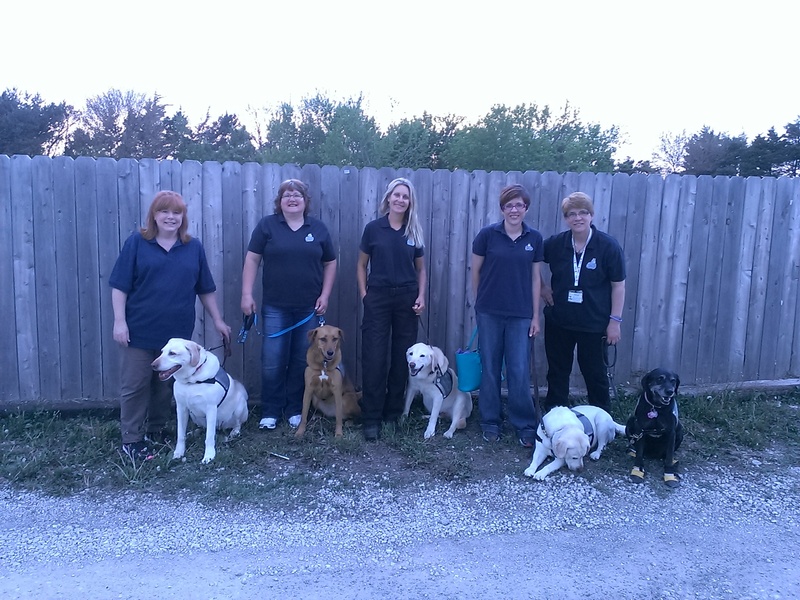 The teams who responded throughout the spring included Debbie and Molly, Darcy and Bella, Hallie and Hannah, Holly and Nestle, Renea and Crosby, and Lisa and Sadie. In addition, teams responded for suicide postvention at an area school and participated in the FEMA/UNL preparedness event. Teams gathered in Beaver Crossing, NE area. NOAH’s Canine Crisis Response welcomed several new dogs and human partners to the team including Deb and Molly from Omaha, NE and Holly and Nestle from North Platte, NE. At the Wayne, NE tornado, teams took time to care for those impacted by and working after the event. 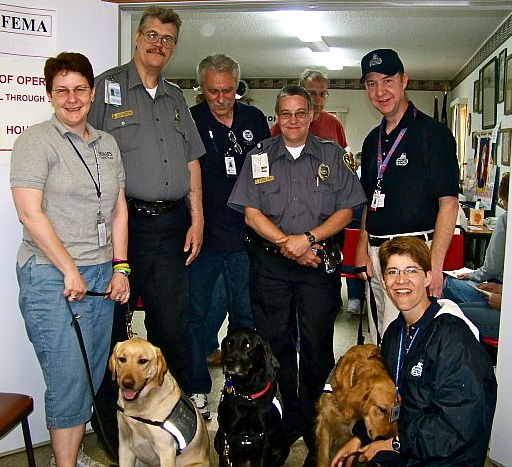 In terms of educating the public, teams participated in a number of crisis and disaster services workshops and events including training for human companions serving with another “comfort dog” organization. At an early spring planning meeting, NOAH’s team members welcomed new member Brianna Fisher, who will serve as an early childhood education consultant for the team. In addition, team in training Hallie and Hannah met with team members in Nebraska City and started their journey with the NOAH’s family. Teams assisted with the Concordia University stress busters workshops and with the Wayne State College Health and Diversity workshop in March. In May, teams were called upon to respond after a student’s accidental death on a school trip for an Omaha high school. In July, teams responded to a series of suicide interventions after a school-related suicide. In September, teams traveled to western Nebraska to help with post-vention after a suicide impacted a school and church. Team members also participated in the training for the International Fellowship of Chaplains in Omaha. 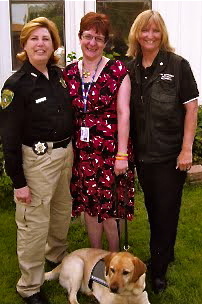 Pictured are Chaplain Mindy from Detroit, MI and Chaplain Mindi from Sacramento, CA with “K-9 Chaplain” Crosby and handler, Renea. In May, teams assisted grief counselors after the drowning death of a high school student in Omaha while on a class trip. Soon after, in June, teams assisted crisis team team staff throughout the week of a school suicide. Teams stood by for comfort care during the recent Nebraska floods. The NOAH’s team was called upon to provide support for a school impacted by a suicide in March. Throughout the spring, members represented NOAH’s at the Lincoln Children’s Museum and the Kansas City Severe Weather Fair. Members also represented NOAH’s at the Creative Healing Workshop held by the Centering Corporation in Omaha in February. NOAH’s joined with Concordia University, Seward, Nebraska in hosting three trainings for its members and the community in the area of Critical Incident Stress Management. The events were instructed through the Salvation Army with a grant from the Lilly Foundation. The instructor for the workshops in Emotional and Spiritual Care, Individual and Peer Support and Group Crisis Intervention was Dennis Flom with Crisis Care Responders (www.crisiscareresponders.com). The director of the NOAH’s Canine Crisis Team, Lisa Ashby, and team member and NOAH’s Board President, Renea Gernant, completed their Certificate of Specialized Training in the area of Emotional and Spiritual Care through the International Critical Incident Stress Foundation in June and November, respectively. Both women are members of the National Center for Crisis Management in collaboration with the American Academy of Experts in Traumatic Stress and actively present and teach in the areas of animal assisted therapy, aging studies, and death and dying. Lisa Ashby now serves on the Board of Nebraska Volunteer Organizations Active in Disasters. Ashby serves as secretary for the organization. 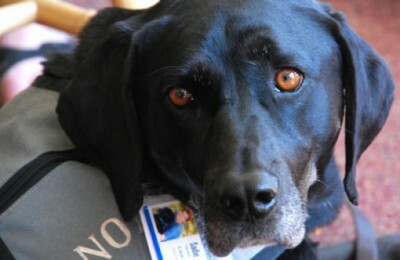 The NOAH’s team bid farewell to canine member Archie (handled by Gary and Penny Turner) this past April. This past summer the organization also bid farewell to a long-time canine partner through a sister canine response organization in the state, Gus (handled by Vicki O’Hare). Both dogs are missed greatly by their handlers and the canine crisis response community in Nebraska. On Dec. 5, 2008, Noah’s Canine Crisis Team members Amy Wurst, Julie Yoder, Gary and Penny Turner, Renea Gernant, Dan Sloan, and Lisa Ashby were present at the Westroads Mall to provide support at the commemoration of last year’s mall shooting. The team attended the ceremony and then worked with any individuals who were in attendance. Noah’s canine crisis team members Amy Wurst and her Collie, Cabernet, assisted evacuees of Hurricane Ike in mid-September in Waco, TX. The category 2 hurricane hit areas of the Gulf Coast, leaving as many as 1.73 million people without electricity and residents filling 284 Red Cross shelters across the state of Texas. Wurst and Cabernet worked near one such shelter in Waco, along with two other canine crisis response teams. In a typical day, the teams met with people affected by the disaster; the therapy dogs offer comfort and serve as a bridge for the handlers to offer crisis behavioral health support. Cabernet, a five year old tri-color Collie, has been trained by Wurst to provide a calming presence in the midst of distress. Medical research indicates that petting a dog can lower heart rate, reduce blood pressure, and decrease levels of stress hormones. In the midst of the frustrations of relocating and the fears of storm damage, the dog and handler provide storm survivors a place to pause and someone who will listen. Wurst and Cabernet, who live in Kansas City, MO, have been members of Noah’s Canine Crisis Response Team since 2005. 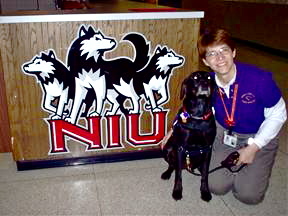 Follow the link above to see how important a role therapy dogs play in the aftermath of a crisis. As we well know from news reports and personal experience, three weeks of damaging storms and flooding across the Midwest have exacted a harsh toll. 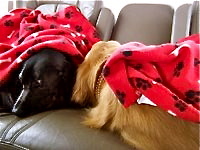 We’re thankful that the Noah’s dogs have been there to help. The Noah’s Canine Crisis Response Team will be out again this week and weekend in Chapman, Kansas. The dogs and handlers will offer emotional support and comfort to the town’s residents and workers. Chapman was hit on the night of Wednesday, June 11, with an EF-3 tornado, churning winds in excess of 165 miles per hour. One person was killed and much of the town was destroyed. Damage estimates now surpass $20 million. The Noah’s teams responding are: Dan Sloan and Toby, Julie Yoder and Mackenzie, Gary Turner and Moritz, Renea Gernant and Crosby, and Penny Turner and Brodie. Please keep these teams in your thoughts and prayers. Aware of a tornado activity and storms that occurred the weekend of May 29th, on June 2, NOAH’S teams returned to Nebraska at the request of disaster relief agencies to provide mental health support to 200 displaced families and first-responders in Schuyler, NE where severe storms had led to flooding. The team left the people of Parkersburg, IA where they had served since May 28 in the hands of teams working with Animal Assisted Crisis Response (AACR), a sister crisis dog organization, who had arrived in Iowa on Sunday afternoon. The AACR group included two NOAH’S member teams. Initially, three NOAH’S teams, Dan Sloan and Toby, Renea Gernant and Crosby, and Lisa Ashby and Sadie worked the Schuyler area as residents attempted to recover from the severe flooding. On June 4, the three teams moved closer to home after learning that tornadoes were pounding the Nebraska area again that night. The following day into Friday morning, Renea and Lisa worked in Ullysses, NE in association with the American Red Cross. On the afternoon of June 5, Renea and Crosby, Dan and Toby and Lisa and Sadie moved to Ceresco, NE to respond with mental health workers and disaster relief agencies still working to respond to the June 4 tornadoes that hit that community as well. On Saturday, two teams from Kansas City, Gary and Penny Turner and dogs Brody and Moritz, relieved the Nebraska teams and worked with the people of Ceresco. Lisa Ashby served as team leader for the Turners. The NOAH’S team remains on standby with area relief agencies as flooding and severe storms continue to impact the Midwest. Five dog and handler teams and a team leader from NOAH’s Canine Crisis Response team began disaster mental health assistance working with other relief agencies in Parkersburg, Iowa on Thursday, May 28. An F5 tornado on May 25 in Petersburg destroyed most of the town and killed seven. The group served the area for five days. Dan Sloan, and his dog Toby, from Lincoln; Lisa Ashby, and her dog Sadie, and Renea Gernant, and her dog Crosby, from Seward; and Julie Yoder, and her dog Mackenzie, from Kansas City, responded to the call-out from NOAH’S. 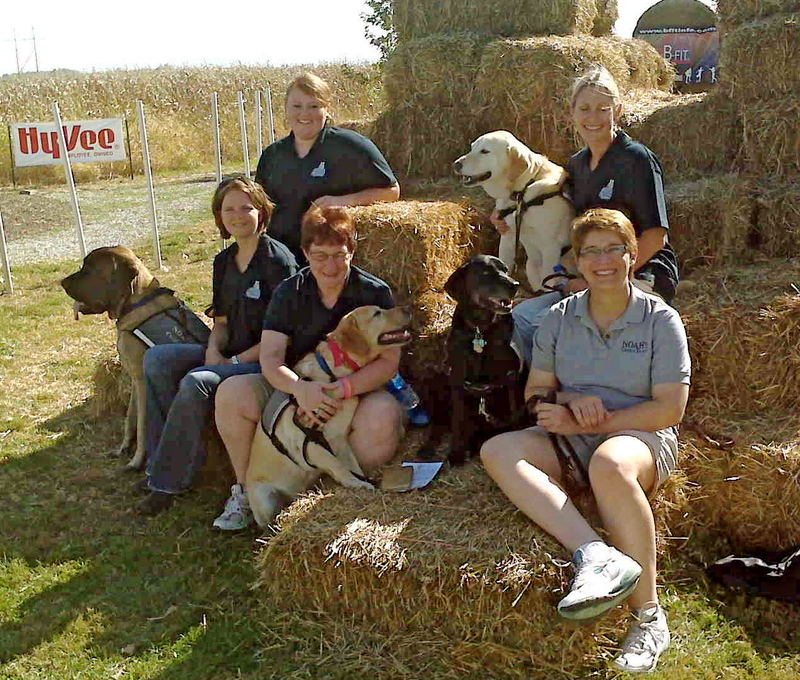 Mike Renner, Director of NOAH’s Assistance Dogs in Crete, NE, served as team leader. NOAH’S teammates, Amy Wurst, and her dog Cabernet from Kansas City responded to the situation the week of June 1 working under Animal Assisted Canine Response. Seven dogs and their handlers served at Camp Noah 2 in Greensburg, KS, on Tuesday, March 18. The crisis team used a new, educational lesson and story, to assist the children in reviewing the past year’s changes and their “new normal” life. The team previously served the children of Greensburg, KS, following the destruction of their town by an F-5 tornado in May, 2007. Camp Noah is a program of Lutheran Social Services of Minnesota. Six members of the Noah’s Canine Crisis Response Team attended a suicide prevention and postvention workshop in Kansas City on February 20-22. Dan Sloan, Lisa Ashby, Renea Gernant, Gary and Penny Turner and Julie Yoder participated in the workshop. The team used the opportunity for additional group building and training. The crisis team has two new dogs in the mentoring program. Julie Yoder and Jackson and Renea Gernant and Crosby enjoyed time with their canine and human teammates. The workshop was sponsored by the Salvation Army and was taught by International Critical Incident Stress Foundation faculty. This was the second workshop the team attended in February. They also participated in a “Crisis Counseling for College Populations” workshop at Concordia University, Nebraska. Saturday, December 8, four teams from Noah’s Canine Crisis Response were invited by the Red Cross to the Westroads Mall in Omaha: Amy Wurst & Cabernet (Collie), Lisa Ashby & Sadie (Black Lab), Dan Sloan & Toby (Golden Retriever), and Julie Yoder & Mackenzie (German Shepherd Dog). Our team leader was Renea Gernant, with assistance from Mike Renner. The mall was being opened to employees for the first time since the shooting three days earlier. Employees were let into the mall starting at 6:00 Saturday morning, and the mall was opened to the public at 8:00am. The Von Maur store where the shootings occurred was blacked out and is closed indefinitely. 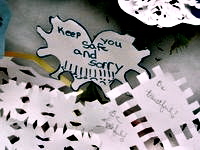 A memorial of snowflakes, other written sentiments, flowers and bears was created throughout the day in front of the store entrances inside the mall and outside. Whoever organized the mall activity that day did an incredible job. There were police in every parking lot and at every door and security was always within eyesight throughout the entire mall. The media was let in for a short time and in two areas only. They were escorted in and out and not allowed to harass mall employees or shoppers. Red Cross mental health workers were everywhere and did an amazing job identifying and helping those who were having a hard time. As you can imagine, many tears were shed, and many people had strong responses. Each of our teams had several occasions to summon a Red Cross person, and they were never far from sight. At the end of the day, the weather was turning nasty, so our Kansas City people and their dogs loaded up and headed home. After Saturday, the LMHP’s concluded that the area in which Lisa & Sadie started Saturday (just outside of the Von Maur entrance) had become an emotional epicenter and asked that both dogs be stationed there. Thus, on Sunday, Dan and Toby and Lisa and Sadie worked again from 9-2–mainly in that area. We spent the days in the mall, each team working independently. We had two terrific team leaders who kept track of us and made sure we took breaks. We kept in touch by phone (next time – walkie talkies! ), and we got several calls from our team leaders and the other teams asking if we could go to such-and-such store because employees there were having a hard time or people wanted to see a specific dog. So, off we would go, getting stopped every few feet along the way. We had powerful interactions and many tears were shed (next time – more Kleenex). Each of us spent time in front of the memorial wall, where emotions ran high and the presence of a dog brought the anxiety level down a little for everyone…employees, the public and us. We talked to shop keepers who were there the day of the shooting who had no employees to open for them on Saturday morning so they faced being alone in their store remembering how they hid strangers in hope that they could save at least one person. We talked to women who gave children to strangers in hope that some person could run that much faster and protect their child much better than they on that day. There were innumerable people with amazing, terrifying and heroic stories. There were kind-hearted people giving thanks that but for running late they would have been in the atrium at the time the shooting happened. Periodically when a person was having an intense emotional experience, a Red Cross mental health person appeared out of the blue (how do they do that?) to talk the person through through the grief while all the time the person was stroking a dog. When it was time to leave both on Saturday and Sunday, a team leader had to come extract us because we couldn’t get out without being stopped repeatedly. As we left, we knew we had made an impact, as several people called out saying goodbye to the dogs and thanked us for coming. We estimate that we each talked to several hundred people during the day. We know without a doubt that we made an extremely tough day a little bit better for many people. It was one of those days that remind us why we do what we do. The dogs continually amaze us with their abilities. It is humbling to share other people’s grief, and we are honored to have been invited. Thanks to everyone who understands and supports our trips, especially those who watch our animals at home.